First session of 2015 admission year in Nust started on 20th December 2014, when first test of the session was conducted. Since these are computerized tests so the candidates get to know their results the very next day except the students of architecture who will get their result after 2 weeks. All the students are eager to know the highest marks scored so that may check where they stand. The tests for NET-1 session will end on 4th of January. Result of tests of 2 days is available and about 3000 students appeared in tests on these 2 days. The roll number is mentioned in the result card above. You can check and verify the result on your own, if you have any doubt. If anyone crossed this digit of 175 we will update that in our post. P.S. Highest marks in NET 2014 were 183 and in NET 2013 were 177.
how many marks are required for SADA?? 110 marks can get you in. When was ur test ? Appeared in NET-1 ? they'll announce in two weeks as it involves manual checking. Can you plz share the questions which you remember were in the test? have done the nice job, and solved my problem I was in trouble. Thanks a lot. 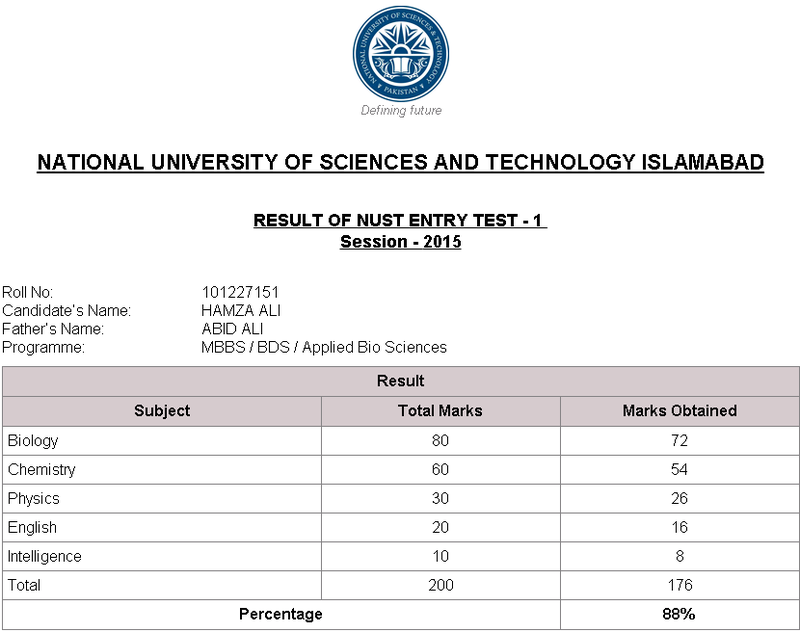 i have got 954 marks in matric nd 451 in fsc part 1.. how much marks do i need to qualify for amc mbbs? 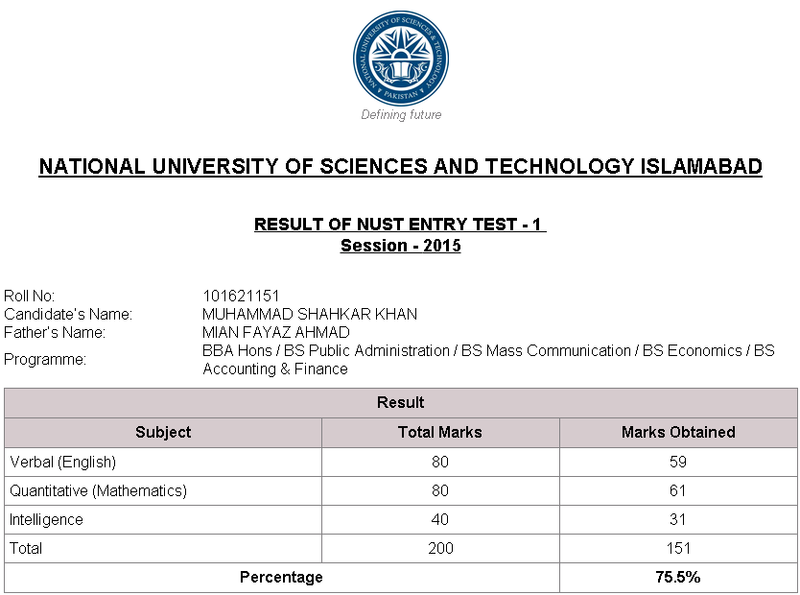 .AOAI got 171 in NET-2 2015....988 in matric n 975 in fsc..can i get in??? You qualify for a merit scholarship as well! Congratulations! and what would be my expected merit position?? Sir ...net 2 me sat touch kia tha nust walonne ye b dykhna parega?? You have qualified . And can grab admission in any school . 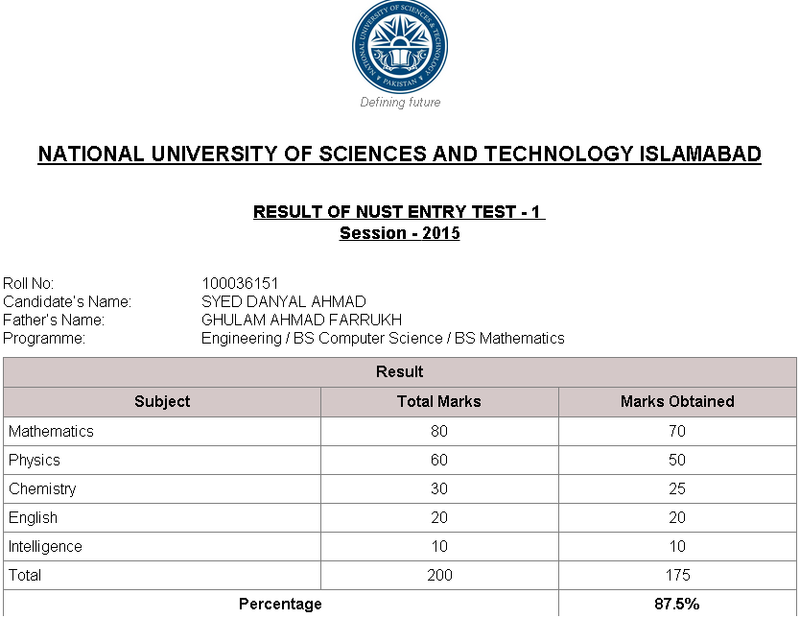 You have excellent marks and xan easily get admissoon in any field of NUST. how checked our result of NET-3 ?? When will the result of NET-3 will come? Engineering. Which was held on 5th of july.